DONTNOD ELEVEN is pleased to announce that its 2.5D multiplayer hero shooter, BATTLECREW™ Space Pirates, will leave Steam's Early Access program and move to a full release on Monday July 10. 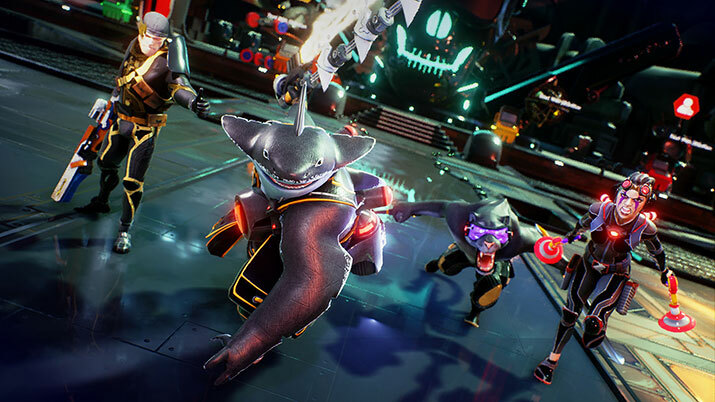 BATTLECREW™ Space Pirates will launch with a free version to allow every pirate to test their skills on the game. The end of the Steam Early Access marks the end of a significant phase for the studio. During that period, the developers worked with the community to develop the core of the game, using player feedback to create maps, fix balancing and prioritize new features, a support for which the team is very grateful. As a thank you gift to every player who acquired the game during the Steam Early Access phase, the developers are happy to offer a special reward they will automatically receive when BATTLECREW™ Space Pirates launches on Steam. BATTLECREW™ Space Pirates is developed by DONTNOD ELEVEN for PC and is currently available on Steam Early Access. Don't Nod Eleven SAS (formerly HeSaw) is a French video game developer located in Paris, France. The company was founded on 9 June 2009, and became active in 2012. They released their first game, a rail shooter video game adaption of Viktor Kalvachev's graphic novel Blue Estate, titled Blue Estate: The Game, through Focus Home Interactive to PlayStation 4 on 24 June 2014, with indepdently released ports for Xbox One and Microsoft Windows following in 2015. On 27 July 2016, it was announced that the studio was renamed Dontnod Eleven, acting as a sister studio to Dontnod Entertainment.